The latest 2018 model of the sophisticated Civic Sedan has been engineered to lead the way through every thick and thin. It has been designed with performance in mind. And the car does render superior performance both on the highway and the city roads. When the glamour exuding all around the exterior enters the engine, it transforms itself into the whopping 174 horsepower. The extraordinarily powerful machine has a fully independent suspension system with two choices of transmission, i.e. manual and automatic. Each transmission system has a six-speed gearbox. Producing great force, the turbocharged engine has the capability to turn every green light into a reason to put the pedal down. 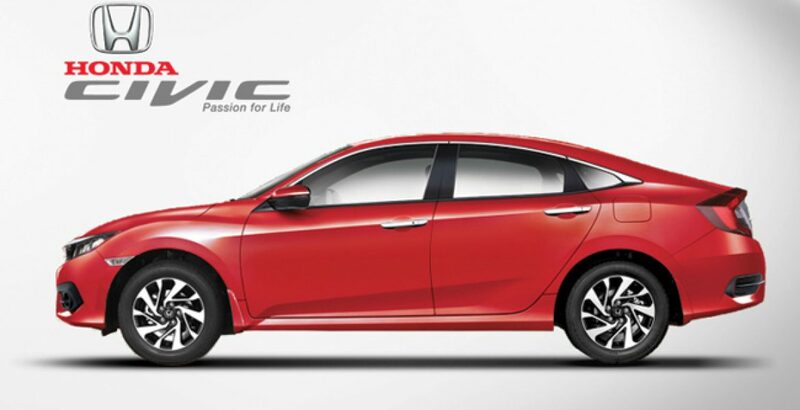 The continuously variable transmission (CVT) technology of the new Civic Sedan helps the machine generate plenty of power without sacrificing the fuel efficiency. This makes the car a perfect ‘luxury with economy” package. At the same time, the Honda’s Sedan is packed with cutting-edge tech accomplishments that have been perfectly primed for leading the charge for the next generation. A pack of the latest tech standards, the car is being offered against justifiably high Honda Civic 2018 price in Pakistan. It brings all the features that you might have been dreaming of to enjoy ultimate performance, comfort and safety. 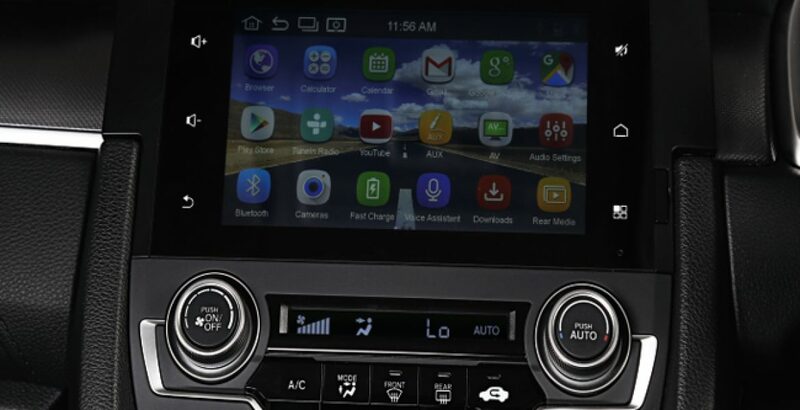 The class-leading technologies of the car include Multi-Angle Rearview Camera, Honda Satellite-Linked Navigation System, Honda LaneWatch, Wireless Charging Mat, USB Audio Interface, and so on. With the high resolution Multi-Angle Rearview Camera, you can get a better and clearer view of what is behind you on the way. It offers three different views, i.e. normal, wide and top-down. Isn’t it a wonderful feature to maximize your safety on the road while also adding to the driving pleasure? Changing lanes according to the speed of your car poses a serious risk of accidents. A minor miscalculation can lead to devastating results. But Honda’s LaneWatch system, provided as a built-in feature in the Civic Sedan, is there to make the practice of shifting lanes so safer and easier. You just need to signal right and a live video will display from a small camera fixed to your passenger-side mirror. A wireless charging technology has already been introduced which eliminates the need for a wired charger or a USB cable for charging your phone. 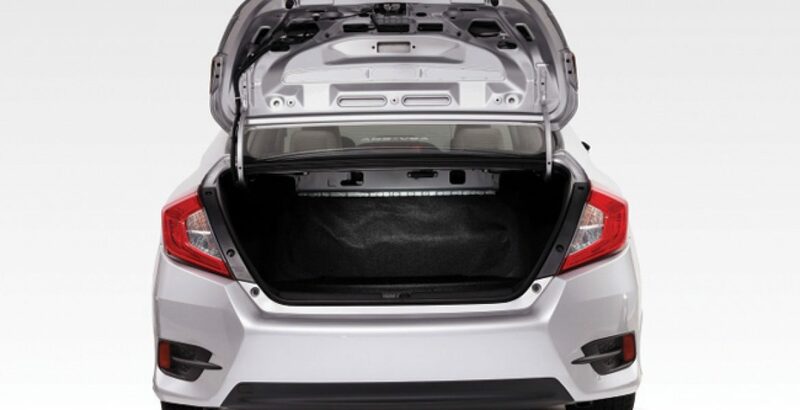 Now Honda’s Civic brings this cutting-edge technology. So, you can leave your cables and wires at home and use the wireless charging mat to charge your smartphone. However, there may be the issue of compatibility with your phone. The Honda Sensing is another superior feature for safety of the driver and the passengers. This suite of safety alerts you to things you might miss while driving the vehicle. Associated with it is the Collision Mitigation Braking System (CMBS) which helps apply brakes as it senses an otherwise unavoidable collision with a vehicle which suddenly intercepts your way in the front. The Road Departure Mitigation System adds another tyre of safety to your vehicle. It is associated with a small camera which sees the road markers and alerts you as you are about to leave the road. In this way, it prevents you from doing so and avoid a possible collision. Then you come across the Adoptive Cruise Control (ACC) system with Low Speed Follow. It allows the driver to set a particular speed limit for the vehicle and it will be followed. There may be the need to decrease the speed but it will again go up to the given limit without requiring you to change the speed manually. Against the Honda Civic 2018 price in Pakistan, the car also brings the revolutionary Lane Keeping Assist System (LKAS). It will be of great help in case your vehicle starts straying on the road. For example, as your car beings to stray from the middle of a detected lane without signaling, the LKAS system comes to action and adjusts the steering to help bring it back to the center of the lane. No doubt all these safety features ensure maximum safety of the passengers on the highways and the congested city roads. But, at the same time, they also add to the convenience of driving. 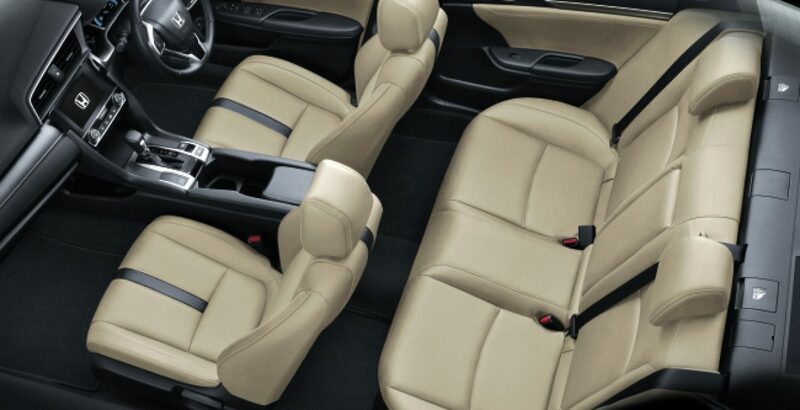 When it comes to Civic, the comfort redefines itself. As you step into the inside of the car, you witness that the interior is the complete luxury from top to toe. Here the passengers can sit confidently and sit in style. It offers three cloth and three leather stuff variants for the interior. Each of these variants brings its own sophisticated flair to the tech-rich cockpit of the four-wheeler. If you have ever enjoyed a ride on the heated seats, you would know about the pleasurable comfort they offer. The same facility is there in the Civic – it heats ups seats for the driver and the front passenger. However, the touring model of the car also provides heating for the outboard rear passengers. You will find it highly desirable and really advantageous on the long journeys through freezing cold environments. Going on a long ride becomes a hectic job especially for the driver as they cannot get relaxed or maintain a desired posture as freely as the passengers do. So, their seat must have some special powers of adjustability. And the same is there in the all-new Civic from the Japanese tech giant Honda. The 8-Way Power Driver’s Seat enables the driver to enjoy ultimate comfort that a car can offer. It also includes a lower cushion which can be tilted up or down to get the seat position just right. Your car’s inside is in fact a lap of luxury. But how? There are dozens of logical arguments in the support of this claim. In addition to other mind-blowing tech specs, it also features luxe leather details throughout the cabin. It includes leather-trimmed seats as well as a leather-wrapped shift knob and the steering wheel. 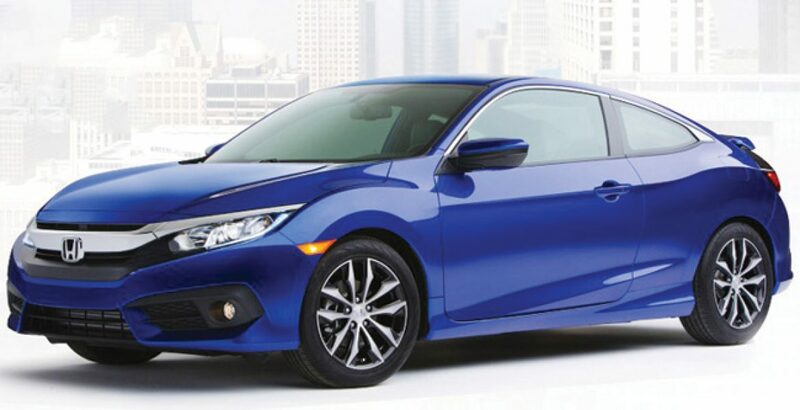 To conclude, the Honda Civic Sedan is one of the most loved luxury cars in the country which is also affordable for the potential buyers from the middle economic stratum of the society. However, Suzuki’s Cultus should be an attractive alternative for those who have the issue of affordability.